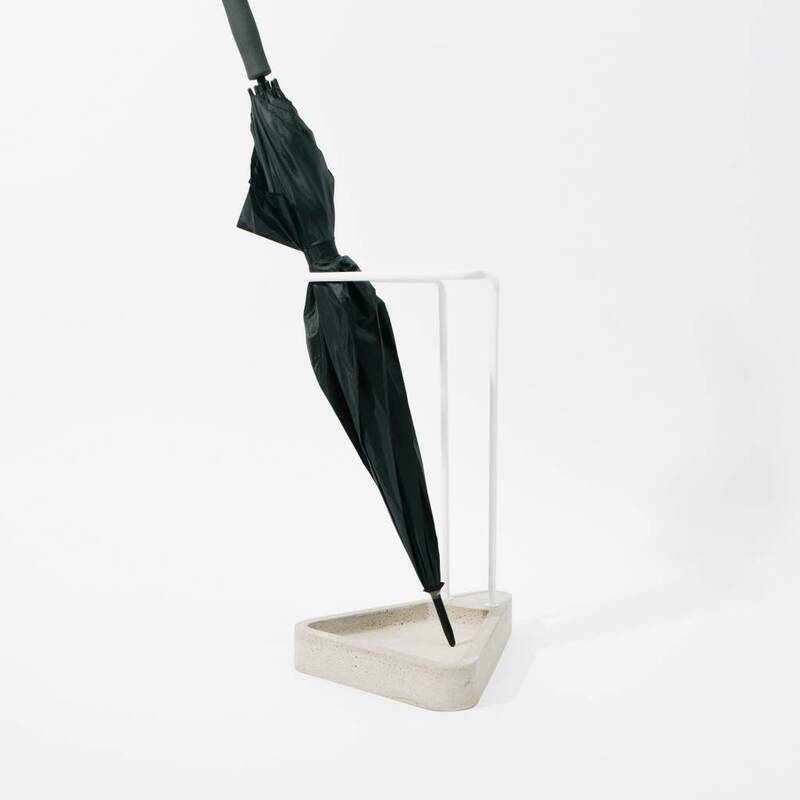 The "Waiting Umbrella Stand" from Atipico. 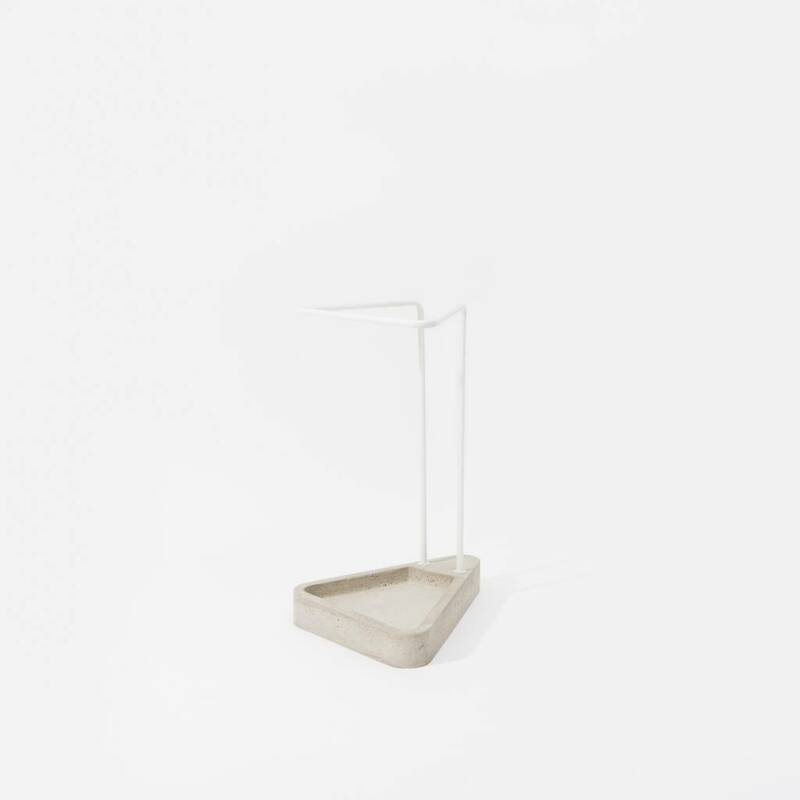 Atipico is a project that breaks the mould of design and makes it part of everyday life. 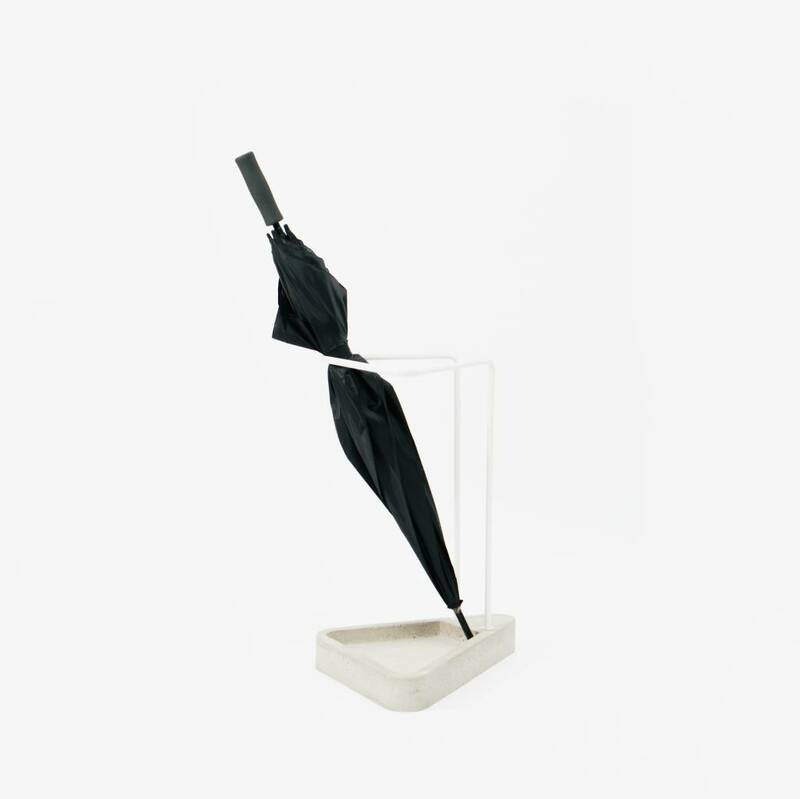 Strictly ‘made in Italy’, it seeks to make every aspect of our daily lives more beautiful. 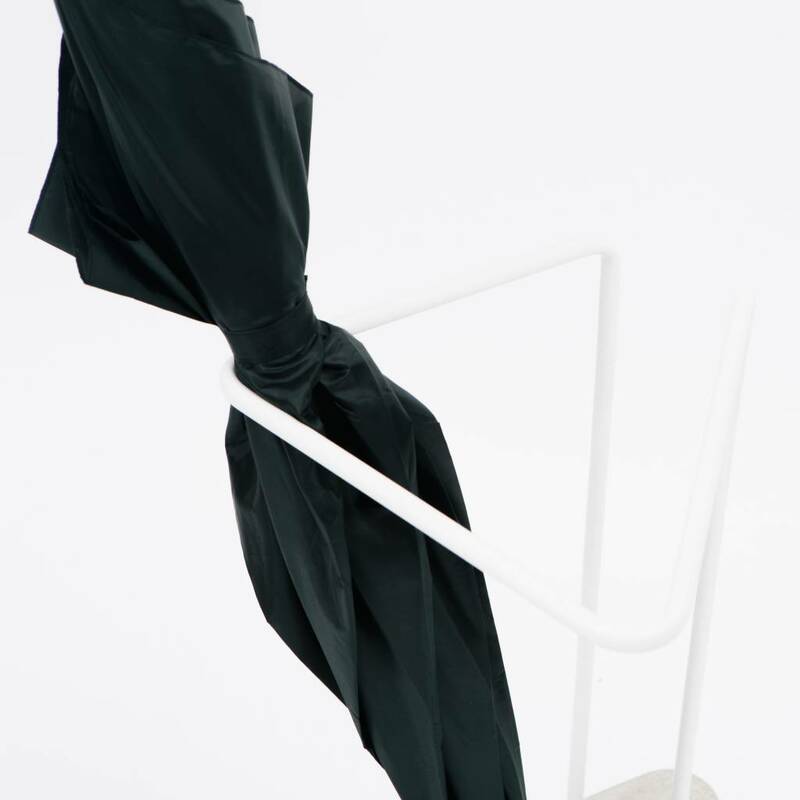 No traces of immobility, a continuous flux of ideas and relations, an amalgam of visions: decorative aspects and functionality form an indissoluble union. 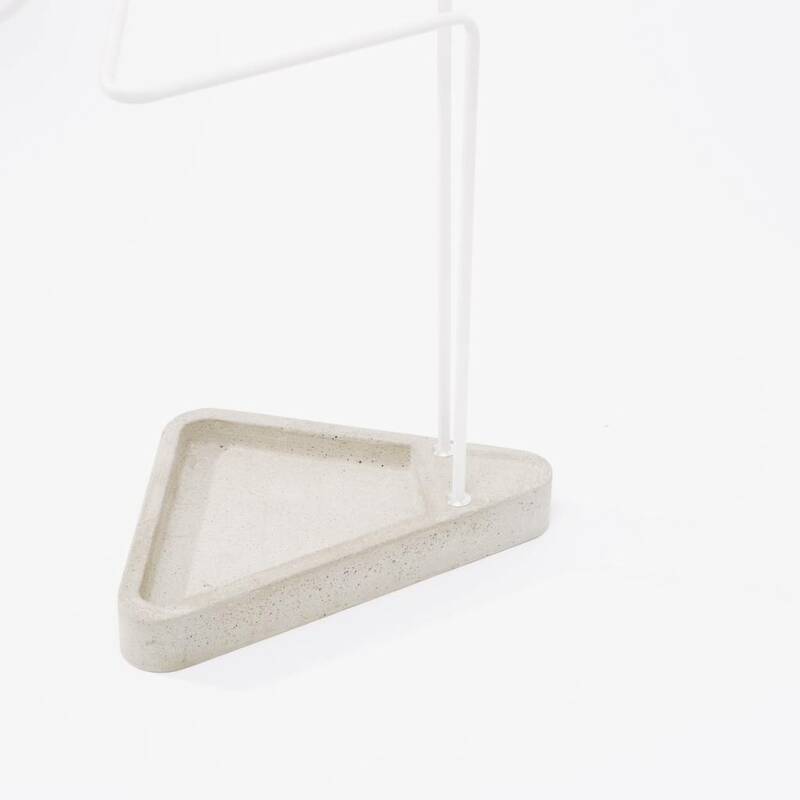 Fusions of materials - cement, cork, fabric, iron, glass - result in a minimalist, highly elegant aesthetic. 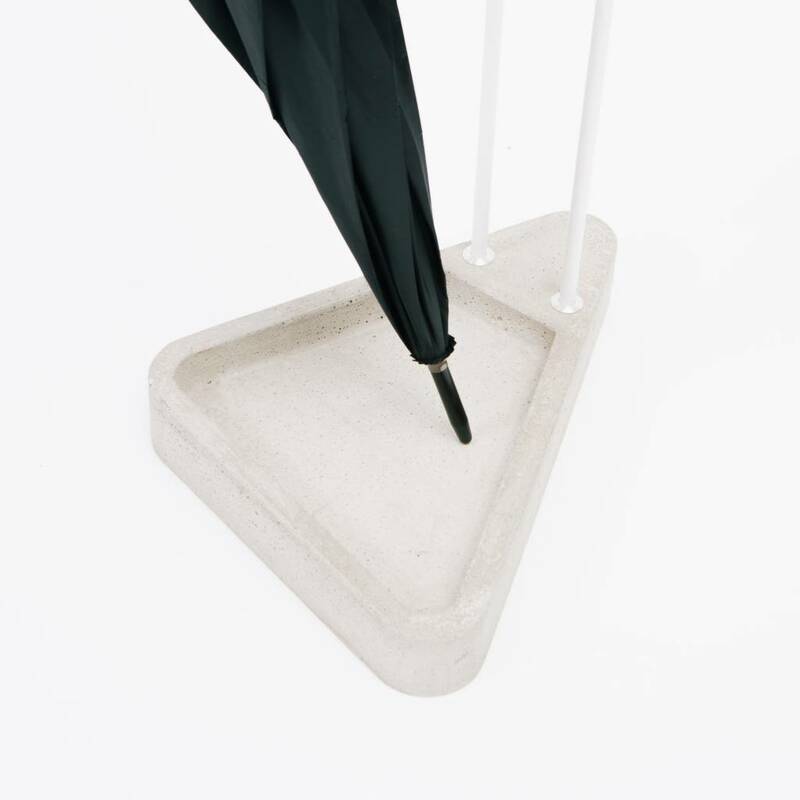 Made from a solid base and a light structure, the ultimate contemporary umbrella stand is made from a triangular base of reinforced, waterproof concrete and thin steel tubing.